Vintage Floral Vector Wedding Invitation With Wreath Of Anemones, Peony, Chrysanthemum, Ferns And Wildflowers, Botanical Natural Anemones Illustration. Royalty Free Kliparty, Vektory A Ilustrace. Image 59803254. 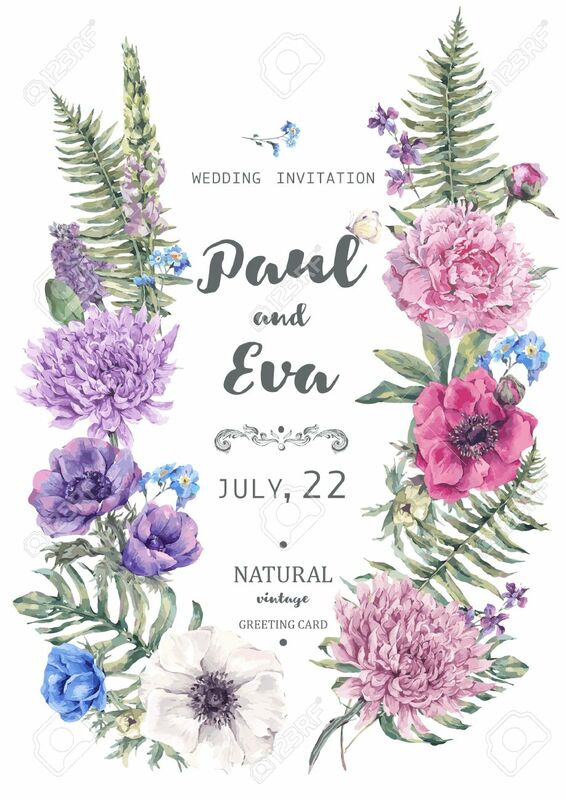 Reklamní fotografie - Vintage floral vector wedding invitation with wreath of anemones, peony, chrysanthemum, ferns and wildflowers, botanical natural anemones Illustration. Vintage floral vector wedding invitation with wreath of anemones, peony, chrysanthemum, ferns and wildflowers, botanical natural anemones Illustration.